This year I saw Harry Potter in the movie theater not once, but twice. I never get to the movies. I just really love Harry Potter. 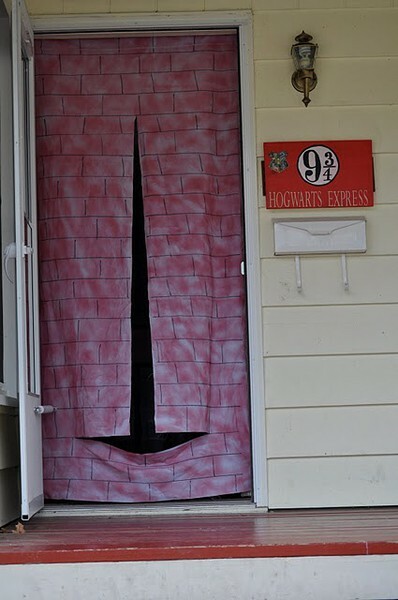 My girlfriend and I have been planning a Harry Potter party for at least two years but something always comes up. I know what you are thinking – are you just afraid no one will come? 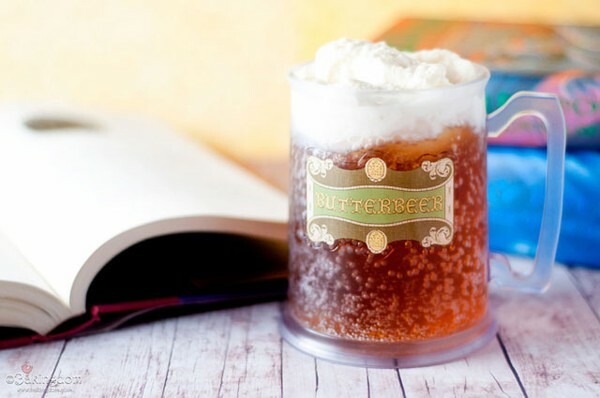 No, because there are a pack of us Harry Potter nerds and they’d all be happy to come over and celebrate with butterbeer. My husband asked me what I will do if Ava gets older and doesn’t actually like Harry Potter. I refuse to entertain this thought because I’m pretty sure all kids like it, especially a child of mine. All kids need a little magic in their lives. 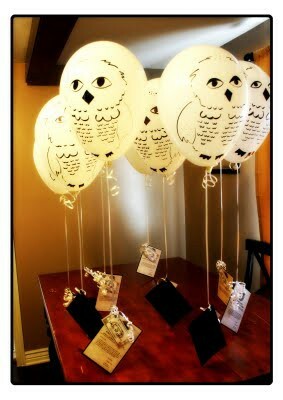 These are pretty much the cutest invites of all time. I ave to admit that my artistic talent is minimal, so I’d need help drawing these guys. Anything beyond stick figures and I’m out of luck. This I could actually do. This is a great idea if the weather is warm enough to leave your door open. 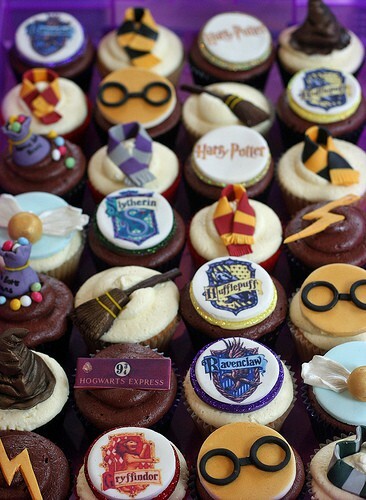 How cute are these cupcakes? I am in love with all of them. Especially because I think they are too cute for me to eat. Any cupcake that keeps me from actually eating it is good for me. I love how I’m kidding myself this morning. Like there might actually be a cupcake out there that would be too cute for me to eat. As if. Parties are always better with favors. When they are in the budget of course. 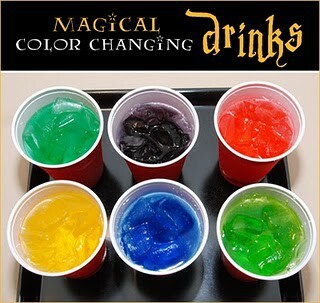 These could also be used for Halloween. I don’t have instructions for these, but they look fairly easy. 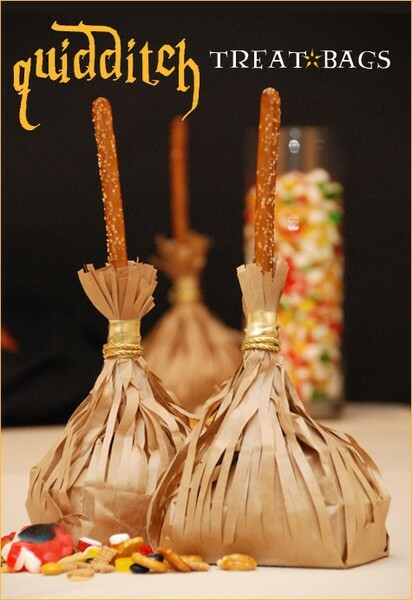 Pretzel sticks, paper bags, a bit of twine and whatever you want to put inside.